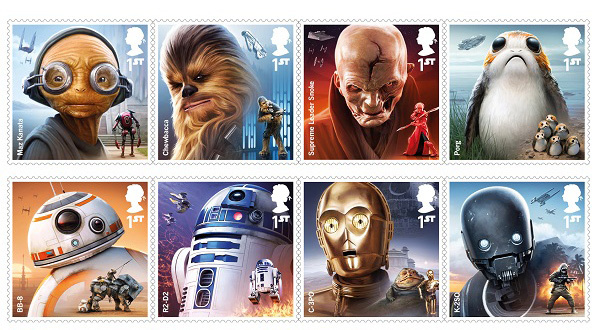 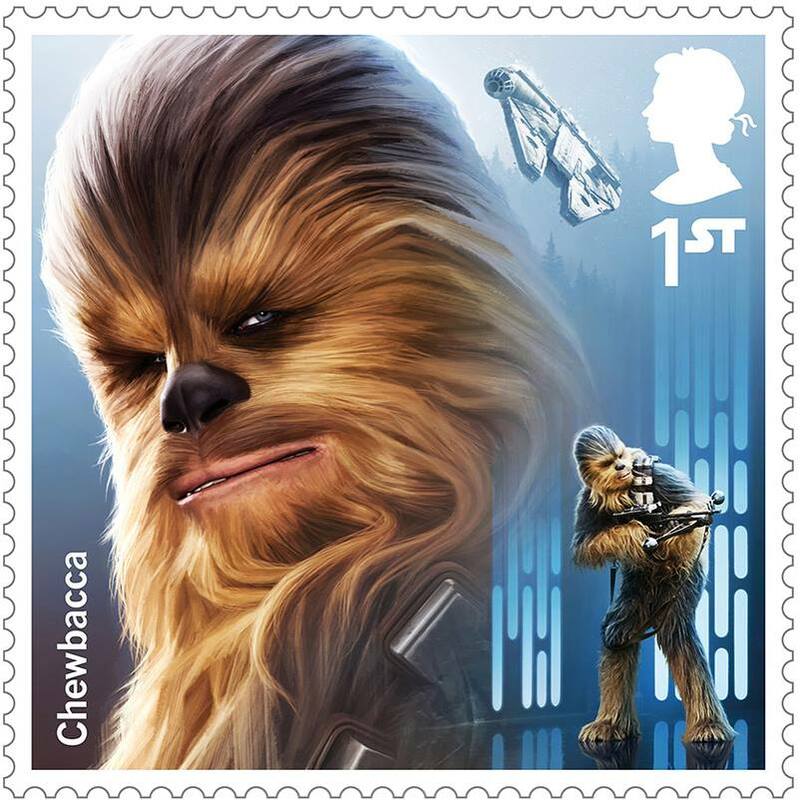 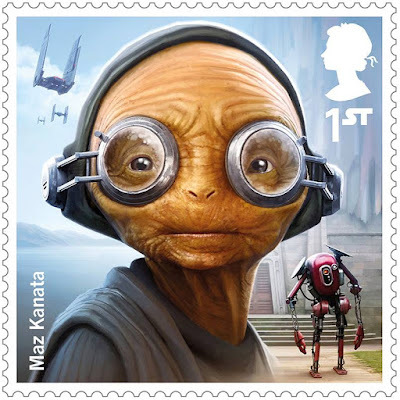 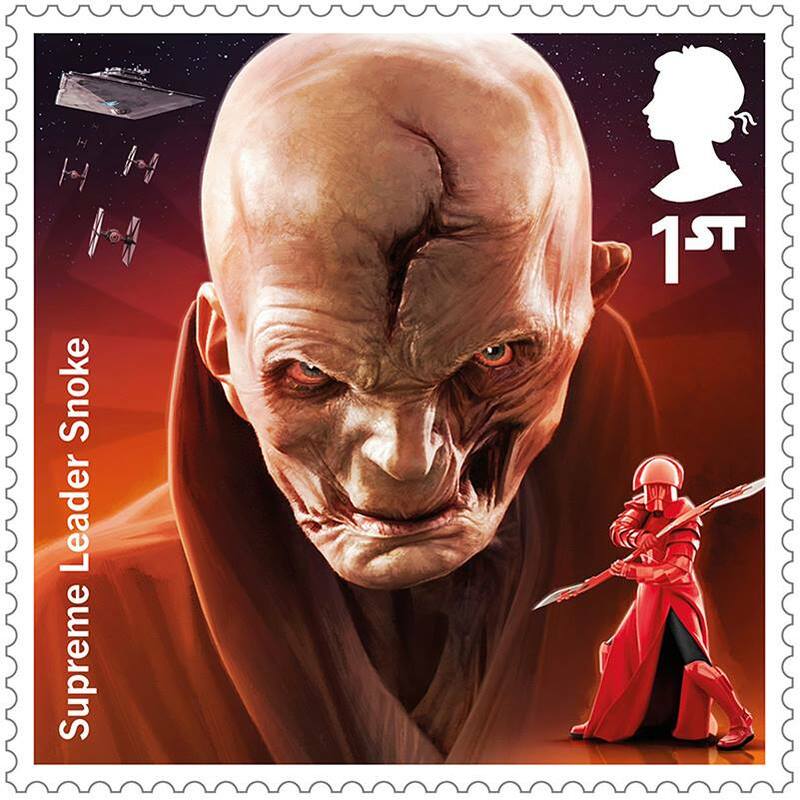 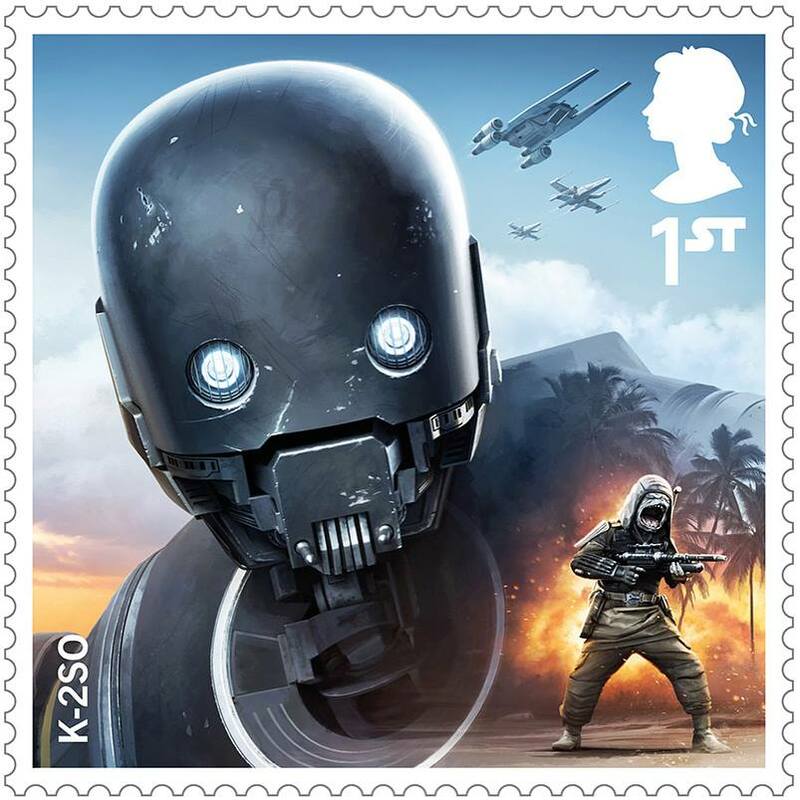 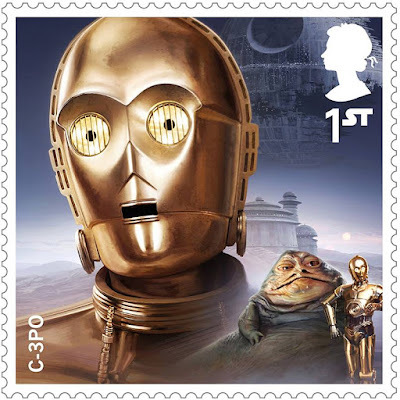 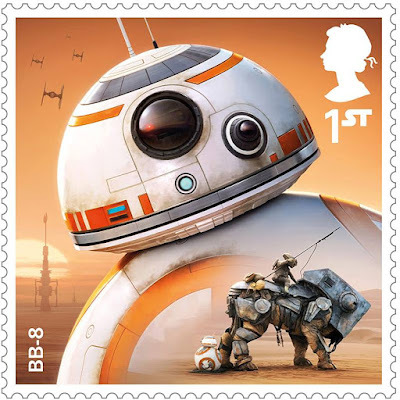 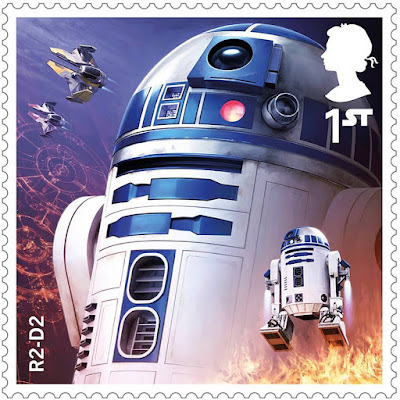 As they have done many times before, the British Royal Mail are ringing in the newest Star Wars film withh a brand new collection of stunning Star Wars postage stamps! 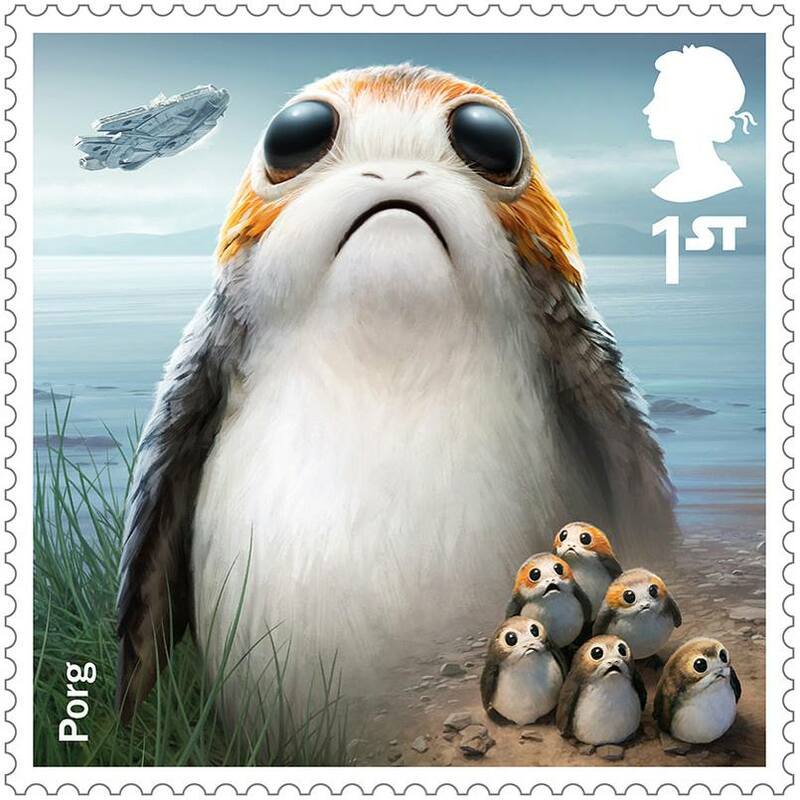 These stamps, which are being unveiled in accordance with the release of Star Wars: The Last Jedi, celebrate the entire saga with imagery from all three trilogies. 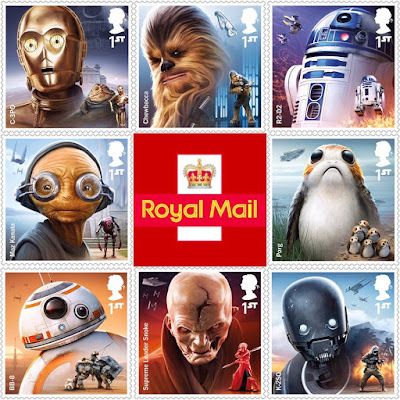 A total of eight stamps are included in the set, each focusing on different characters, including Maz Kanata, C-3PO, Chewbacca, R2-D2, BB-8, Snoke, K-2SO, and even the Porgs! The stamps are illustrated by Malcolm Tween and feature hidden details that are revealed under UV light. The stamps will be available for purchase starting on October 12th. Be sure to click here to to check out the various collector's packages that are available.